"Unplanned travel taste better sometimes," said a friend after posting on her Facebook our photos taken in Kampheang Phet province on Friday last week. True to her words the travel was literally unplanned. 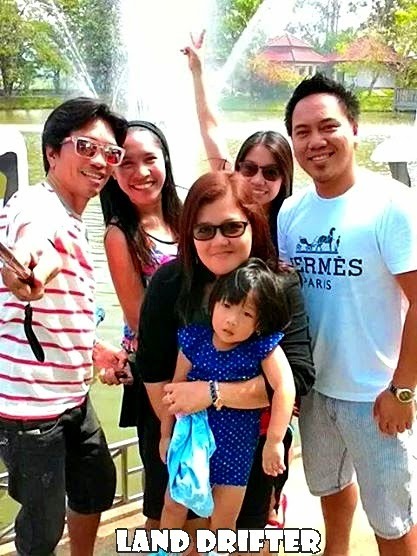 We were just having lunch together on Thursday at a friends' house who were travelling back to the Philippines when the subject of going out somewhere was mentioned. We joked about it and soon enough, our laughs enveloped the place. 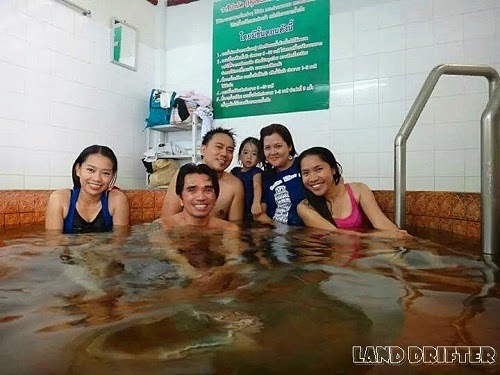 Little did I know that while I was thinking of it as a "joke," the other end, I meant my friends, were already printing the map to get to Kampheang Phet 's Phra Roung Hot Springs. Later that night, messages on Facebook started flooding. Time of departure: 6 am. That was the original plan. Surprisingly, I was still unconvinced. I was awaken by a call from Letty at about 6:10 am. "Kuya Alex is already here", she said. I was like, "OMG. We are really having a trip!" "We'll be there in a jiffy," I just simply said. Much to our delight our daughter was not having her "pain in the brain" tantrums. Otherwise, it will take us forever to prepare and bear her loud shouts and long cry. We simply asked her to prepare her things, and off she went getting her milk bottles and diapers. But instead of leaving at 6, we left Phitsanulok a little before 7. From Ban Khlong district, we turned left to Route 117 (Nakorn Sawan Road). We stopped for a while to buy some snacks at 7/11 near Naresuan University, and we immediately sped away. Roughly 30 minutes or so, we arrived somewhere in Phichit. We then turned right to Route 115. Thanks to Kuya Ryan who informed us about the easiest way to get there. He said it's nearer as opposed to the way the local buses take - the Phitsanulok - Bang Rakam - Kamphaeng Phet route. It only took us a little less short of two hours. 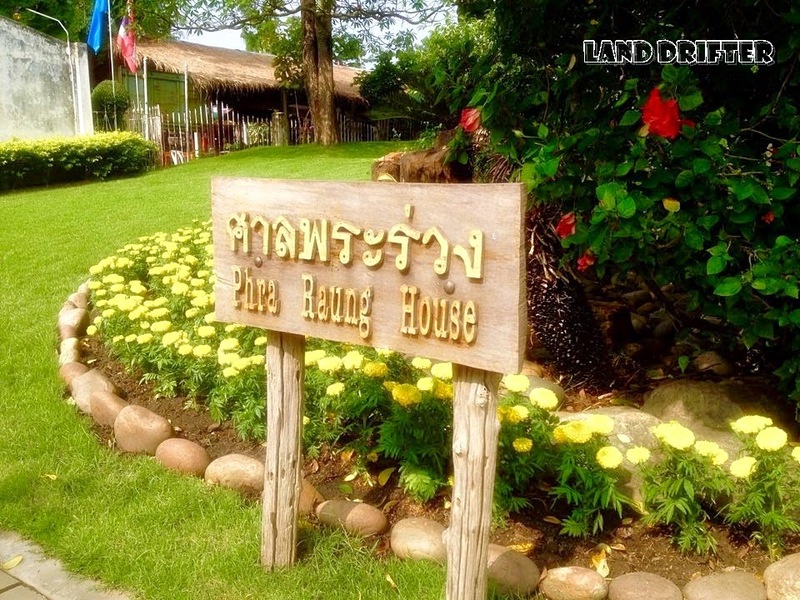 Phra Roung Hot Springs according to Kuya Alex, was located a little far from the city. So when we arrived in the city center, we stopped in front of the gold shop to ask the shoplifter about the way. I'm sorry, I meant the shop owner. To our amazement though, she didn't know where it was. I thought the place was popular, how come she didn't know? "Let's go to the police station and ask the officers," Letty suggested. But following the road sign that says "police station" seemed to be taking forever. So, we ended up asking the lady working at the computer shop near the clock tower whether she knew where the falls was. Viola! She knew where it was. We were on the road for another 15 minutes before we finally saw the sign that says Phra Roung Hot Springs. From the outside you will see chicken statues arranged nicely at the altar nearby. And because we didn't want to waste more time, Kuya Alex and I went straight to the reception. Unsurprisingly, Joy, Letty, Chang-Chang and Loureese were already having moments with the nicely trimmed garden. They were taking selfies like there's no tomorrow. 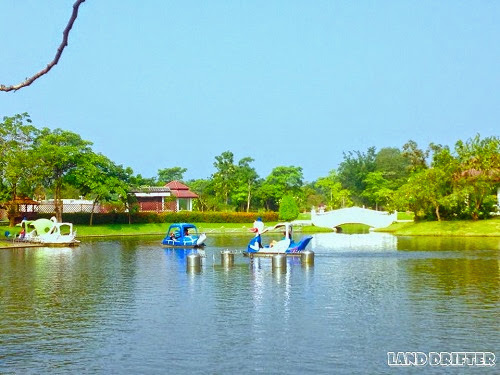 Anyway, the place reminded me of Burnham Park in Baguio, Philippines. 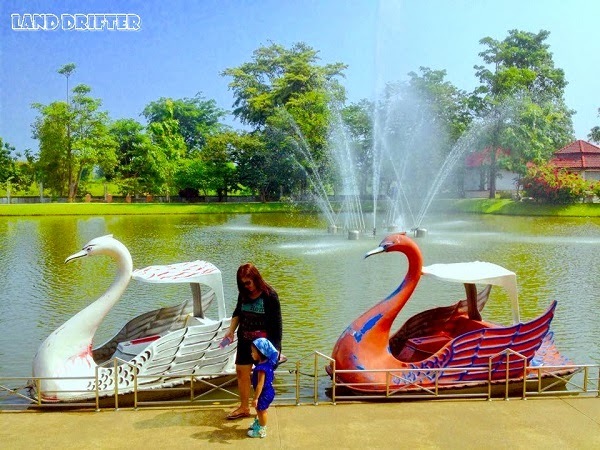 They also have this mini lake similar to Baguio with swan and other cartoon character boats that you can rent for just 20 baht. You can use these boats indefinitely as long as you can stand the heat of the sun, and if you won't get tired of foot-paddling the thing. 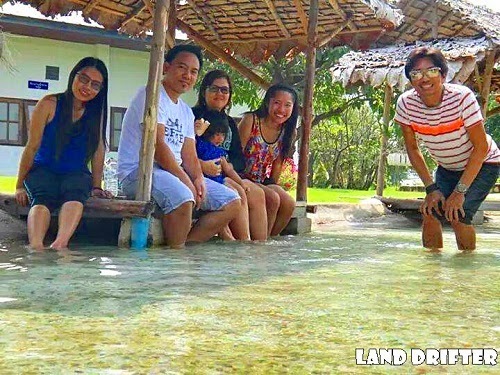 They also have this area where visitors can submerge their feet to the water while having a picnic at the side. It was so relaxing. The area was dedicated for foot relaxing only. But since we want to bath and submerge our entire body under water, we rented a private hut. The hut with a Jacuzzi inside was good for five people. It wasn't big but enough for us to walk freely and nicely without bumping at each other. There was this literal burning sensation the first time we descend below the surface. Of course, it was hot spring, you id**t! And because my entire self was having a moment with the hot water, my eyes were all but sleepy in minutes. For the record, the five spots of the hot spring naturally took place from under the ground. The temperature is approximately 50-65°C. From a test of the Ministry of Public Health, there is neither contamination nor diseases, which are too harmful in accordance with the standard. 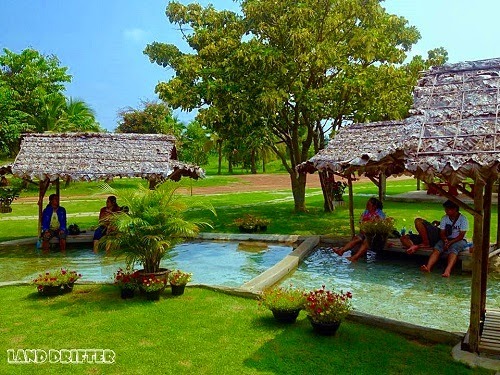 Once again, if you are looking for a place to relax and you chanced upon Kamphaeng Phet province, try Phra Roung Hot Springs. The area has a touch of nature with flowers of different colors along the path. They also offer a room for those who want to stay for a night. They have coffee shop on the side and a mini store next to it. And the price? 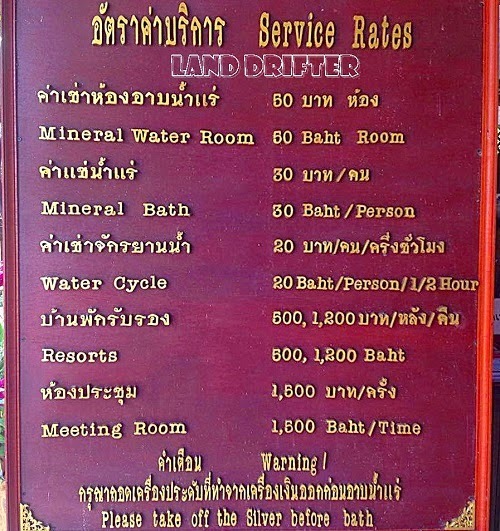 Only 60 baht for the hut and an additional 30 baht per person if you're gonna take a bath. Very cheap. It won't make your pocket sad.